Self Help Goals And Shortcuts To Understanding Reality Beyond Belief! Inspired Self Help Goals That Help You To Move Beyond Belief And Into Knowing The Power Of Paradox! I believe that the best self help goals we can achieve are those goals that lead us to the very root of the true nature of existence, which includes the nature of reality. And through the awareness gained from our exploration into the nature of reality we are re-minded of the truth about who and what we really are. And once we have remembered these truths we will realize the paradox of reality and how life really works. For instance, by diving deeply into this knowledge we will remember that "time and space" are artificial constructs and that the eternal now moment is all there really is. And therefore, absent "time" all possible and probable realities already exist simultaneously here and now. Further, the inspired self help goals outlined on this page will assist you to remember these truths and to reintegrate them into your conscious awareness. 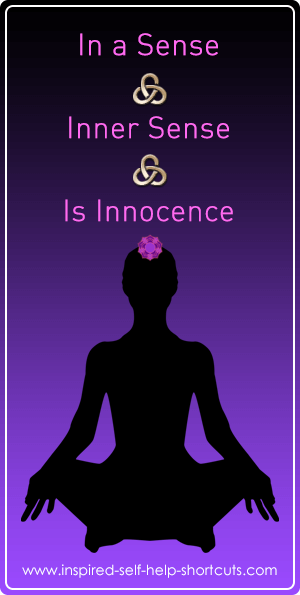 When a person begins inquiring into their mind and the true nature of reality they become more aware of their consciousness – that's conscious awareness. From this state of being you will begin using advanced reason and logic. And with this heightened state of awareness comes greater responsibility, because once we’re consciously aware of the true nature of reality we can no longer pretend and act as if we don’t know that we create ALL of our own reality. Due to much contemplation in my life I’ve realized that no matter which direction I take looking for answers, ultimately, I’m met with paradox. Here are some examples questions I've asked: What’s outside of the physical universe? How come at the heart of physical matter there’s nothing there? How can eternity never have begun and will never end? It feels good, it excites me and I love it! To illustrate the power of meeting with paradox, through these inspired self help goals and shortcuts we’re going on a journey. A journey down and up, in and out, around and through the proverbial rabbit hole - only to return to a place where we’ve always been, here and now. To give you an idea of how big or small we are in our physical universe, please look at the graphics below. This image represents the smallest planet (or rock) in our solar system Pluto, compared to Earth and the largest planet Jupiter. 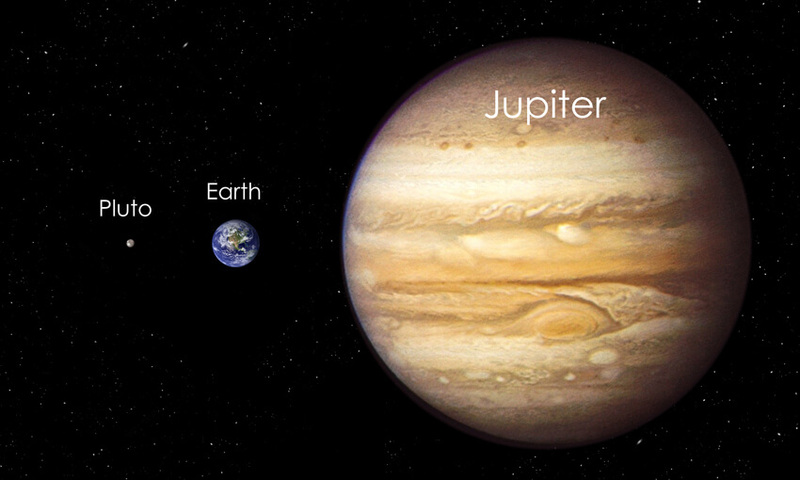 This image represents the size of Earth, compared to Jupiter and our Sun. Earth could fit inside Jupiter approximately. 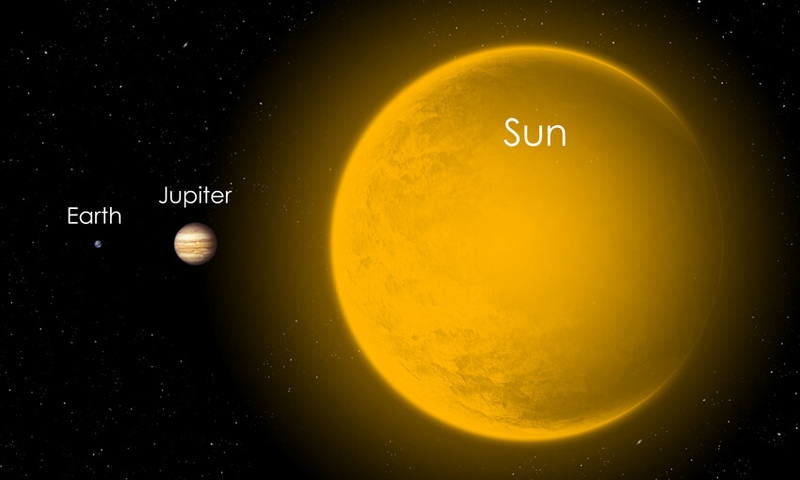 1,300 times Jupiter could fit inside the Sun more than 900 times. Approximately 1,200,000 Earths could fit inside the Sun. 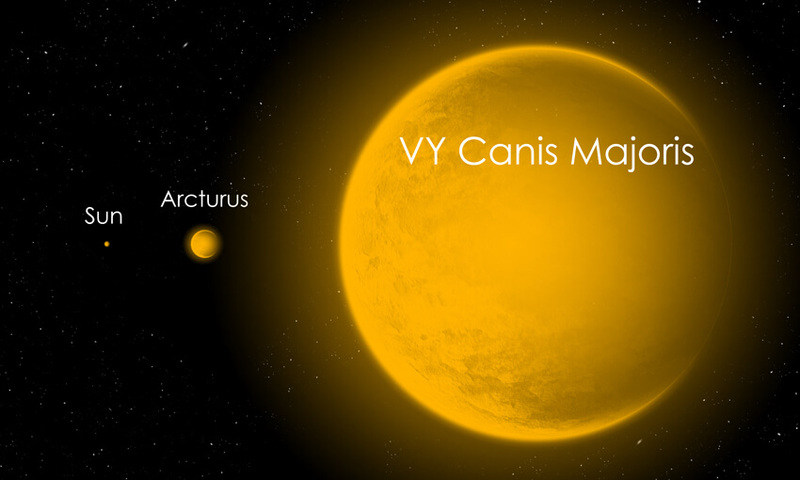 Sun VY Canis Majoris. These huge stars are several hundred million times larger than our Sun. Contemplating the knowledge of these inconceivably huge star/sun systems is one thing and gives us an idea of size and our perspective in the physical universe. However, this inspired self help goals information takes you much further and much deeper into infinity than even these huge numbers represent. Reminder: even though you may have come to this site to get these images there are no accidents and no mistakes, so you’ll find value in reading what's being said here. Let’s say that you’re an astronomer or an astrophysicist and you love the kind of work you do and you’ve spent much of your life charting out new territory in our universe and perhaps even greater space. You've studied the universe in depth, so know all about those huge suns and you suspect that there’s an even bigger sun than those currently on scientific record. So you continue doing the work you love and you make all of your calculations. And now you believe, almost beyond doubt that even larger suns must exist. Understand here that we can't imagine something that does not already exist because non-existence, by definition, does not exist. Therefore, because we create our own experience of reality and the Universe must reflect our definitional beliefs back to us - evidence of a new sun which you believe exists must exist and thus, eventually you’ll see evidence of it in your reality. It’s not important whether you understand this as: the universal law of attraction (LOA), what you put out is what you get back, the power of imagination or thoughts become things – these inspired self help goals and shortcuts identify that it’s all the same thing expressed from different points of view. The nature of physical matter has been scientifically studied for many years. However, when we use the principles of quantum physics to look at and try to find the smallest particle of matter, we continually find smaller and smaller particles, but ultimately we discover that there’s really nothing there. Sure, as our technology improves we’ll keep discovering smaller and smaller particles - until such a time that we finally realize that infinity exists in every direction. Physical matter doesn’t have an objective reality of its own because it’s not real, was never real to begin with, so never will be real. So the true nature of physical matter is illusion. Therefore, when zooming in on illusion what do we really expect to find other than more clues and more leads pointing us towards more illusion? At the end of the day the nature of all reality, including physical matter is illusional. Thus, physical reality is merely an illusion that’s chosen by us and maintained as real by our definitions, beliefs and the consensus agreements we’ve made in order to experience this particular illusion. All That Is already is everything in existence. Nothing can be added to or subtracted from All That Is because it’s already whole and complete, already is everything. And because we’re all a part of All That Is and we can never truly be separate from it, we’re connected to every part of All That Is and we always will be. While we may think and believe that we’re creating something new that came to us through our imagination or our higher self, something that we’ll invent or create... The truth is that anything and everything, whatever it is, is still a part of All That Is, so whatever you can imagine must already exist within All That Is.. So in that sense there can be nothing new, no new thing - so what creation must be is for us to experience any part of an already existing illusional reality that we choose to from our unique perspective, thereby adding our unique experience to All That Is. Due to the holographic nature of reality, all parts are contained in the whole and the whole is contained in all parts, thus Consciousness is One. In other words, the All are One and the One is All. There’s no real separation, there’s only our idea of separation, which is an illusion that we maintain in order to play the game of life. The personality construct of our physical mind can be seen as a mathematical equation or an algorithm which renders each individual piece of the One Consciousness with a unique personality. In a world of Oneness, each personality construct is comprised of an artificial individualized identity, thereby creating the illusion of separation. Let's say that before you go to sleep, you look at your new plant by the window. Due to your experience and your belief in linear time you know and expect that while you sleep your plant will grow. Eight hours later you awaken and observe that your plant has indeed grown overnight as expected. Fantastic, your plant is healthy and it has grown overnight. So you give it some water and maybe some bio food, and perhaps you say a few kind words to it and then you expect more growth. All is normal and as expected. However, these inspired self help goals and shortcuts to understanding reality remind you, once again, that any and all growth is merely an illusion. You have to remember that creation is already finished and time is also an illusion, so there’s only the one eternal moment of now. 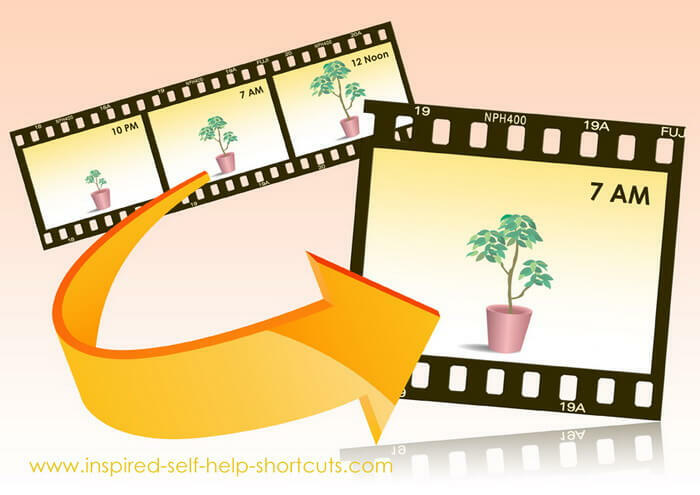 This image represents the individual pictures of life which create the illusion of growth. Think about watching a movie. A reel of individual single shot frames or images spin around in sequence at 24 frames per second passing through light that’s projected onto a screen, providing the illusion of linear movement. Each frame on the reel is different, just as our experience of the now moment is different. Our experience of the now moment can never be repeated in all of its complexity, each moment is a standalone discrete Universe unto itself. So what we perceive as movement or growth is really our consciousness or perspective changing focus and seeing a different part or frame of the existing movie of our life experience, one frame after another, within the idea of no-time, thus creating the illusion of continuity and growth. The inspired self help topics page goes deeper into the nature of time. When you think about it, because each moment is a discrete universe unto itself any change implies us constantly and continually moving through an infinite number of parallel reality universes. Thus, our experience of the continuity of life or change is really us moving through a series of similar yet discrete parallel universes. This inspired self help goals and shortcuts page suggests and illustrates that creation is already finished and that we can choose to experience any part of it or any parallel reality we now choose to. All versions of reality are available for us to experience, although due to belief being the operant power we’re limited to experiencing an infinite number of probable realities. Now you’re fully self-empowered to choose, define, imagine, believe in and experience any reality you want to, any reality that feels good to you. You're free to choose to experience the reality in which you’re living a life of lack and wanting or you can choose to experience the reality in which you’ve seen through all of your self-imposed ideas and self-limiting beliefs and therefore, you're living a life of wellness, prosperity, love and joy. The choice will always be yours! Perhaps we’ve chosen to play this game of extreme limitation of self, purely for the ultimate purpose and pleasure of breaking through those self-imposed limitations and returning to our source of peace, love, light and ecstasy. We’re such powerful beings that we’ve chosen to believe in, agree upon and co-create an experience of reality in which we’re surrounded by and immersed in darkness and limitation. However, if we now choose to remember the true nature of reality the nature of who we really are, then we’re really free to choose to experience any version of reality we so desire to. Each of us is vibrating at a certain frequency. Our overall vibrational state or state of being determines the reality we’re now experiencing. Our personal Universe or all that surrounds us individually right now acts as a mirror that reflects back to us that which we’ve chosen to experience, through our vibrational offerings. That is to say, the external reality which we now behold is an indicator of our current beliefs, emotions, thoughts and resulting behavior. So our personal Universe is a mirror that represents our state of being by reflecting our beliefs, emotions, thoughts and behavior back to us as the current circumstances of our life. And the way to change any and all of the circumstances of our life is by changing our vibrational state of being, by choosing different thoughts and beliefs. Use the information highlighted by these inspired self help goals and shortcuts to realize that in order to experience a different part of creation, a different reality - we must change our vibrational state. If you’re currently experiencing a reality that you no longer desire, do the mental work necessary to raise your vibrational frequency and then your external reality and circumstances must change. Because that's the physics of the nature of reality! Think about it. The one thing you can confirm for yourself right now is that you exist. And you exist now, always now. Linear time is also part of the illusion and thus when time is removed from the equation, we’re left with now. Understanding these inspired self help goals and shortcuts automatically places us on a higher plateau of knowing that goes beyond belief! There can be no "space" without "time" and matter has never been real in the sense that we normally think of as real. Without space there’s no place for location to exist, so the only real location must be here and the only real time must be right now. Therefore, you exist here and now and you always will. 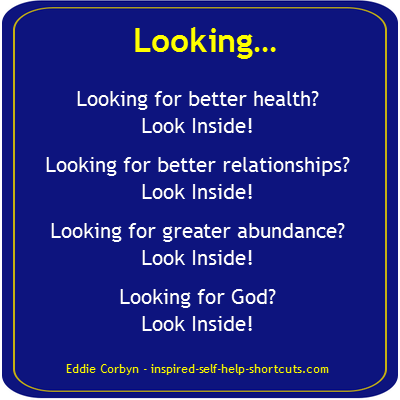 Click this image to get a FREE PDF document containing a very powerful list of Inspired Self Help Goals Reality Check Keys. Once the new window has opened up you can read the document or save the file to your computer. Enjoy. Through the information shared on this inspired self help goals page, my desire is that our journey of peeking into the rabbit hole will have the effect of acting as confirmation of the power of paradox, by enabling us to see that paradox really is normal. Experiencing the reality chosen by you, right here right now is the only real thing. Because of the sacred moment of now - what progression of life must be is the experiencing of a new perspective of the one now reality, a new picture of life constantly, continuously and eternally. Which means that whatever you can imagine, define and believe is possible, without doubt - must become available for you to experience. Remember, if it isn’t possible it cannot come into your awareness, thoughts and imagination because it doesn’t exist within All That Is. By contemplating everything that’s been outlined by these inspired self help goals and shortcuts, you now know beyond belief that all that you want must come about, for you create your own reality by choosing which part of creation you now want to experience.